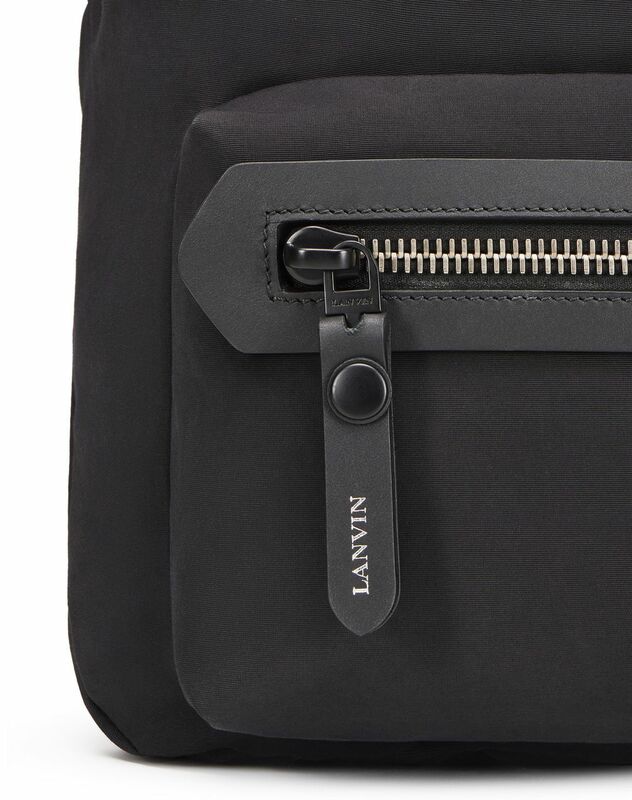 Black zippered backpack in cotton weave, exclusive patch detail, front zippered pocket, black calfskin leather inset, exclusive Lanvin logo zipper pull, inside zippered pocket, and exclusive Lanvin lining with printed logo. 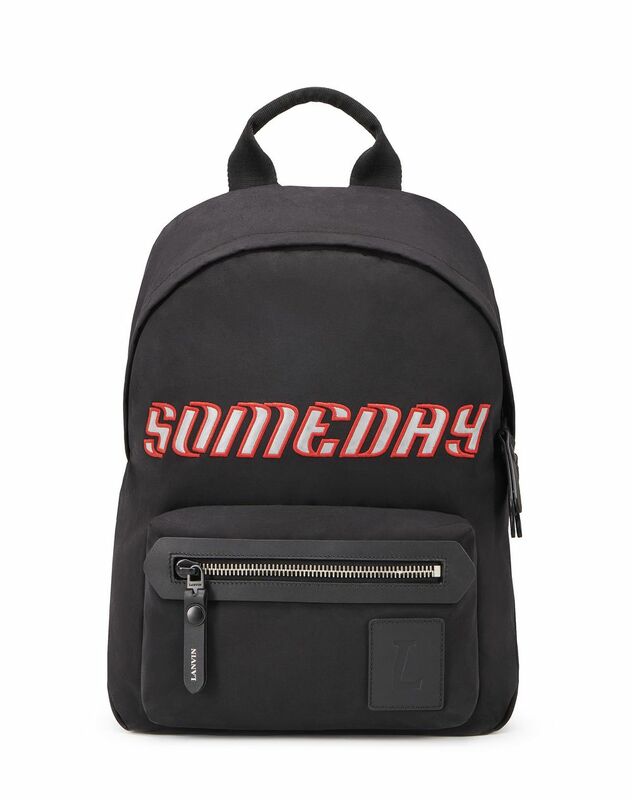 This backpack from the Fall-Winter 2018 Collection combines elegance and modernity. It sports this season’s motto, for a trendy and sophisticated look. 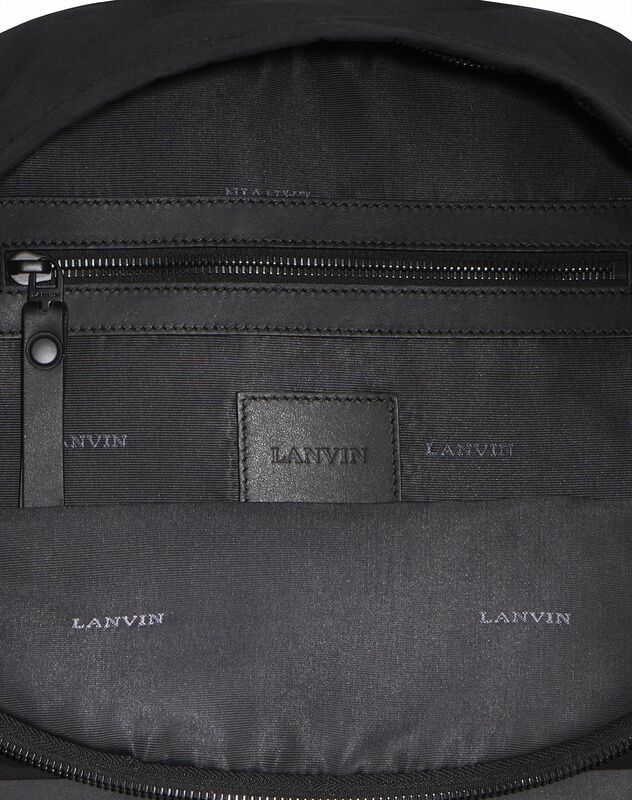 Equipped with zipper compartments and a spacious interior, this functional design can hold all of your everyday essentials. 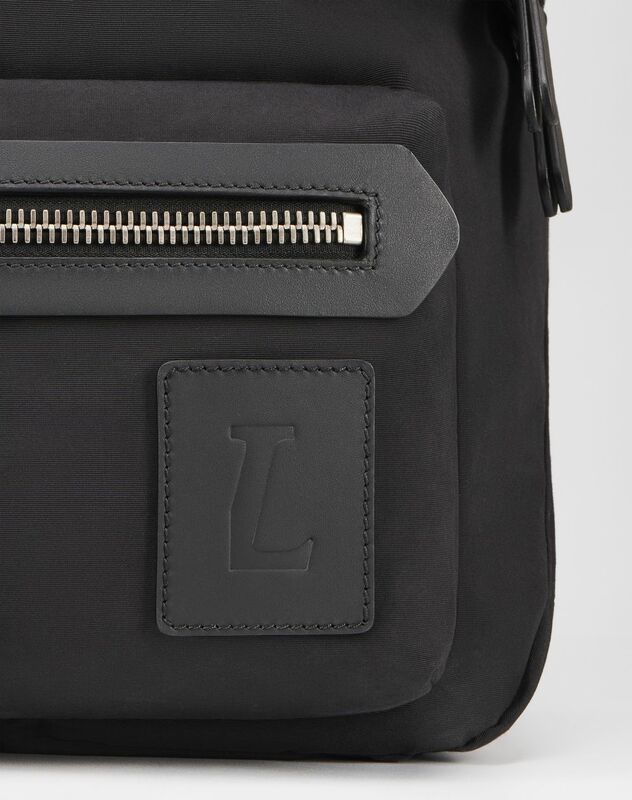 The precious leather inset details combined with the patch’s trendy flair makes this a must-have accessory for the season. Main material: 100% cotton weave Secondary material: 100% nylon. 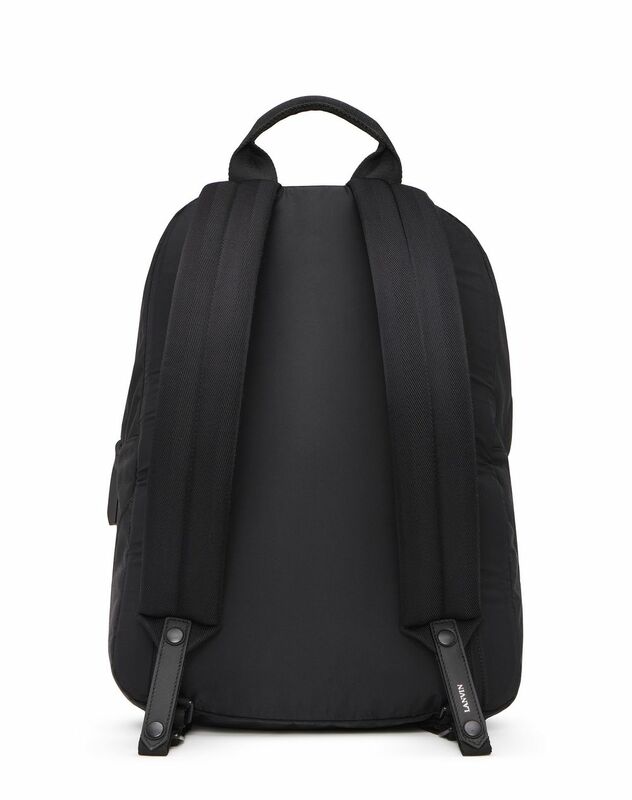 Other material: 100% calfskin leather. Lining: 100% polyester. Made in Italy.